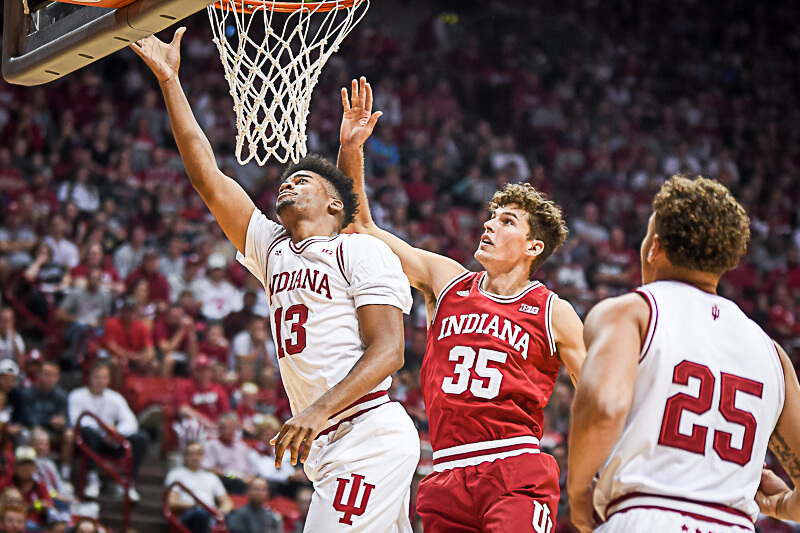 ROSEMONT, Ill. – With practice officially underway for the 2018-2019 season, this year’s returning Hoosiers are more comfortable in Archie Miller’s system — and the competition level is high. According to Morgan, this daily battle has also extended to an individual position between point guards Devonte Green and Robert Phinisee. When Miller was asked which player came in second to Morgan last week in the gold jersey competition, he mentioned Green as a player right in the hunt behind his senior captain. While the odds favor a return to the NCAA tournament for Indiana this season, the program’s non-conference schedule — including its guarantee games — have an eye towards the NCAA selection committee’s tiered wins system. When asked about any future potential of a non-conference series between Arizona or UCLA, Miller said the 20-game Big Ten schedule and current non-conference contracts are a prohibitive factor. Morgan was a double-double machine in his breakout junior campaign a season ago. And according to Miller, that sort of consistency continues to reveal itself early in his senior year. When asked about what’s surprised him so far this season, Miller went right to his co-captain. In terms of what else senior Evan Fitzner might bring to the table beyond his shooting, Miller said matchups may dictate additional offensive contributions.